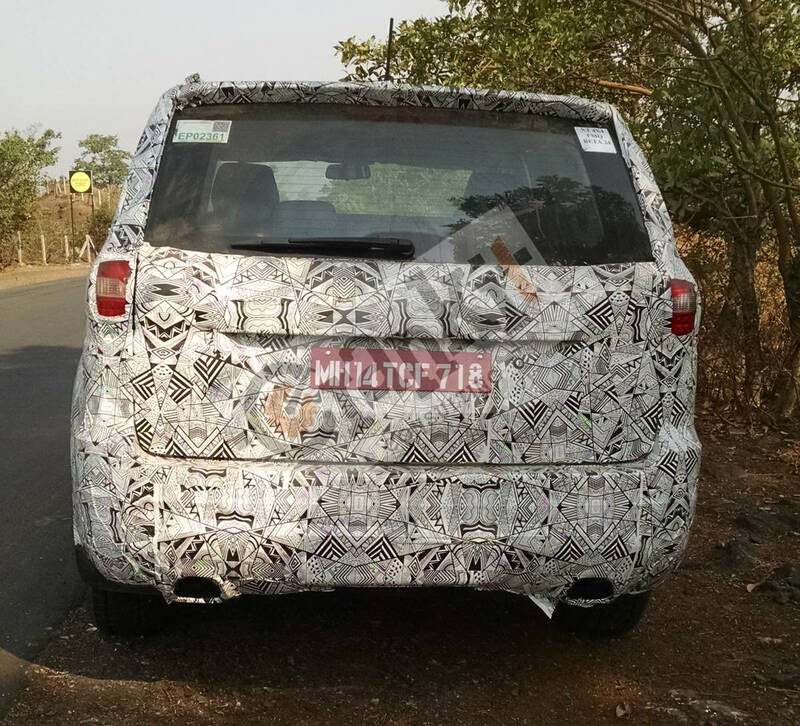 Tata Hexa, an SUV that will take place of Tata Aria, was caught on Team Crankit’s camera while it was undergoing extensive testing on the tortuous roads of Tamhani ghat near Valne MIDC. 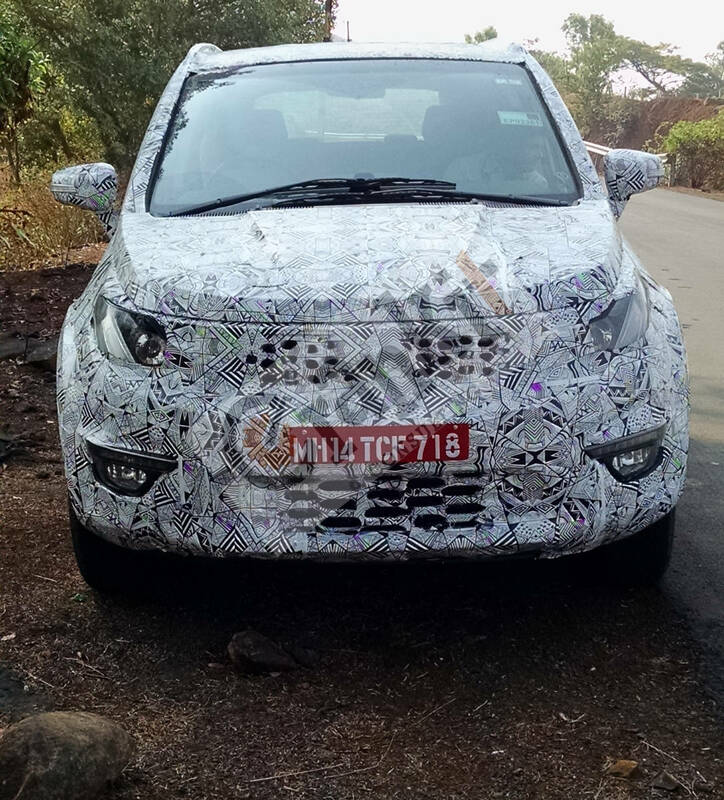 Look on the vehicle body clearly highlights the efforts Tata Motors has taken in the making of this vehicle. With the market competition getting intense, especially from the indigenous manufacturer like Mahindra & Mahindra, Hexa definitely is a big bet for Tata. On the ground of the mediocre performance of Tata Aria, Hexa has to first wipe off the market prejudices and then start getting hold of the customers- something only a quality product can achieve! In terms of exteriors, Hexa draws more clues from its predecessor Aria. However, the modifications in the front bumper, fenders and hood have given an even more aggressive look to this beast. The newly designed projector headlamps match well with the overall get up. Rear bumper and tail-lamp assembly has also been modified and it reduces the overall ‘boxy’ feel of the vehicle. Twin-tail pipe outlets yield a rigid look to this muscular SUV. The interiors of Hexa are crafted carefully making it specious and comfortable. Jet-black seat covers with a pinch of silver fortify the rich feel. Quality of plastic used in dashboard is really good and is thus in tow with the black interiors. Hexa is believed to be powered by 2.2 litre 4 cylinder inline diesel engine that churns out an impressive power of 154 bhp and 400 Nm of torque. In addition, this vehicle will be equipped with two airbags, ABS, EBD and ESP so that this raw power could be handled safely. One more thing worth mentioning here is that we followed this vehicle for more than 50 kms and found that NVH is the area where a significant improvement is seen this time making Hexa really smooth. Our estimate suggests that Tata Hexa would be put in the price bracket of 12 to 15 Lakhs.